In this article I’ll describe what I have used to create a “Press Any Key to Continue” in a Bash script (Linux/MacOS X). Working with scripts in Bash (Terminal or Shell) isn’t what I do daily. The day I had to create a script to help me do an SVN update followed by a massive recompile. I wanted to see the SVN result first before proceeding with recompile, so I had to add a “Press Any Key To Continue” option in the script. Since it took me a little effort, I figured; let’s describe this in an article. After all, it may be good reference for myself and for others. These methods work for Linux and MacOS. 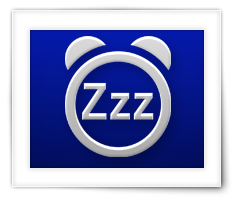 Waking up devices that are network connected, can be done with the so called “Wake On LAN” feature provided by certain devices (like for example a NAS, FileServer, or even a PC). A while back I created a simple application for this – miniWOL – keeping in mind that the user may not be too familiar with all the configuration details (see: previous miniWOL versions). I wanted just a simple menu in the System Tray (Windows: next to the clock, usually the lower-right corner of your screen) or Menubar (MacOS X – top of your screen, Linux often at the bottom of your screen). Well, after a bit of searching I could not find anything suitable or to my liking and I decided to just write something myself. The old miniWOL been good so far, and plenty folks seem to have a good use for it privately and professionally. However, Apple had to change a few things (moving to 64 bit, using Cocoa instead of Carbon, and the need to sign applications – unfortunately Microsoft will probably follow soon) so while revamping the Mac version, I revamped the Windows version as well, and added a 64-bit Linux version as well (by request). 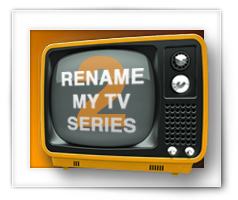 Rename My TV Series, a tool to rename tv series episodes, has been around for a while now, and it’s time for an update (the “old one” can still be found here). So I proudly present: Rename My TV Series 2. Two of the main reasons for this new version are the needed update of the user interface and support for the new API of TheTVDB.com. But there is more; macOS users wanted a 64 bit version to avoid the 32 bit complaining and having the application signed was on the wishlist for them as well. 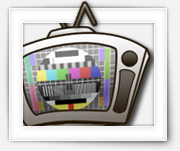 Support for SSL (since theTVDB.com API requires this), the use of notifications and the support for a dark theme, the merging of 2 episodes, caching results, are a few of other desired or needed items. I’m still striving to do as much cross-platform development as possible, so macOS, Windows and Linux users can use my tools, which means that this new version will be available for all these 3 platforms. For most of us, working in Linux or in a shell is not necessarily a daily activity, and that’s totally OK.
I’m not daily working with it either, but occasionally I use one of those funny commands to set the access rights to certain files and/or directories. 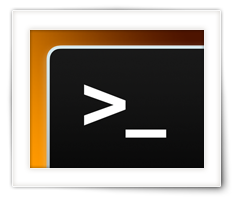 This command, chmod, is not super complicated to work with, and is commonly used when working in a shell or terminal on both the MacOS X and Linux platforms. But we need a “magic number” to set these rights. 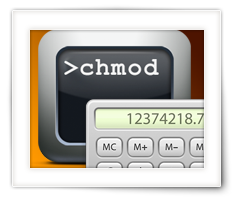 The “magic number” for chmod is also commonly used with FTP programs. Whenever I use this command, I need to refresh my mind on how to calculate the “magic number”, and I find myself looking for a chmod calculator. Since I’m lazy at times, I figured: why not have one on my own website? In the past few weeks, I’ve ran into the need to find out what the hardware or system specifications are of one or the other Linux machine. I use it every now and then, either on my QNAP, HTPC, Ubuntu machine or even my DD-WRT router. Earlier this week I even needed it to checkout my old web-server specs versus the new web-server. Well, with Operating Systems like Mac OS X and Windows, it’s relatively easy to find the specification with the help of system build-in tools that come with a proper user interface. Under Linux this can be more challenging though, especially when there is no graphical user interface – ie. you only have shell access. In this article I’ll try to go through a few relatively standard commands to checkout your system specs like memory, CPU, video card, disks, etc. Some of you may have read my article on how to Dual Boot Windows 8.x and Ubuntu 14.x … which works great, but what if you want to undo this; remove Ubuntu Dual Boot and remove the boot manager? 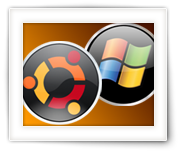 For example when you’ve decided that running Ubuntu from a USB stick is sufficient, or maybe run Ubuntu in a virtual machine with VMWare, Parallels, or VirtualBox. Or maybe you’re selling your computer and the new owner has no desire to have a Dual Boot on their “new” PC? In this article I’ll show you how to remove the Dual Boot. I’m doing this based on the way I have installed Dual Boot, but it will very likely work for installations that have not followed my article. No additional tools are needed, like special applications, a repair or recovery CD or a live USB stick. Do keep in mind though that this article is based on a computer that has a UEFI “BIOS” and not an old regular BIOS. I usually work on a Mac, and when working under Linux or Windows, I resort to Virtual Machines (VMWare Fusion / Parallels Desktop). Sometimes however, a virtual machine is not up to the task. For this purpose, I have a cheap Acer laptop that came with Windows 8.1. But that is just Windows. So how do I make this laptop dual boot Windows 8 and Ubuntu using Ubuntu 14.x and Windows 8.1? These are the few easy steps I took to make my laptop dual boot Windows 8.1 and Ubuntu 14.x. 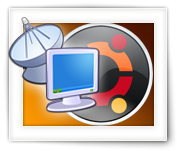 The described method can also be used to run Ubuntu from a USB stick, which works very well when using USB 3.0. 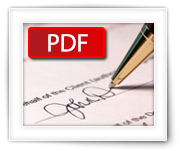 In this article I will demonstrate how to put your signature on computer documents (PDF) without the need to print the document first, sign it with a pen, and scan it back to a PDF file. 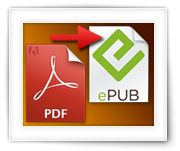 Most modern PDF readers actually allow you to add a digitized image of your signature and common PDF readers even assist you with the scanning, either through a scanner or webcam. For this purpose we will use Apple’s Preview (MacOS X), Adobe Acrobat Reader (MacOS X, Windows) or Xournal (Linux). All these applications are of course available for free. 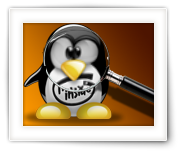 How to edit Crontab under Linux, MacOS X, QNAP, etc. In this article I’ll show you how you to edit the schedule of the job scheduler (Cron) on of your Linux/Unix based computer or NAS, for running certain tasks unattended. Cron is a job scheduler and uses crontab, a relatively simple plain text file, as it’s configuration file. 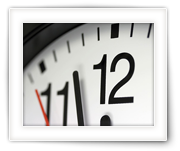 In this file you can add, remove, or edit tasks you’d like to have run at particular dates, times, or intervals.